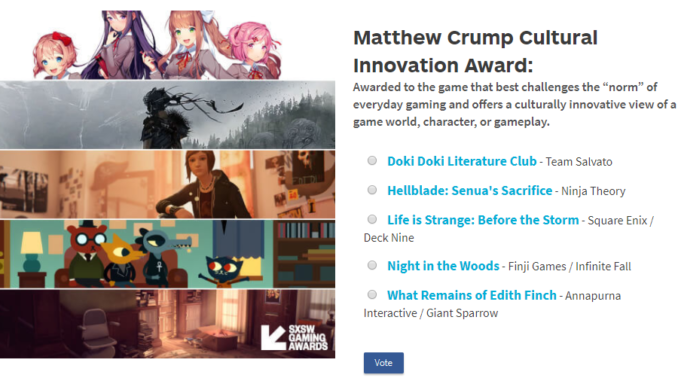 Matthew Crump Cultural Innovation Award: Awarded to the game that best challenges the “norm” of everyday gaming and offers a culturally innovative view of a game world, character, or gameplay. Trending Game of the Year: Awarded to the game that consistently entertained and kept us watching on social platforms with its humor, stories, and more. Voting closes on March 4th so I hope to see you get your votes in! Thank you for your continued support and efforts to contribute to the DDLC community.